Printstagr.am | Ooh, my favorite! I am so psyched about this! I adore Instagr.am, and to be honest I often go back through my feed to see past pics. Lately I have been longing to have printed versions to place in stacks around my apartment; instant happiness, no? So much better than sifting through my phone. 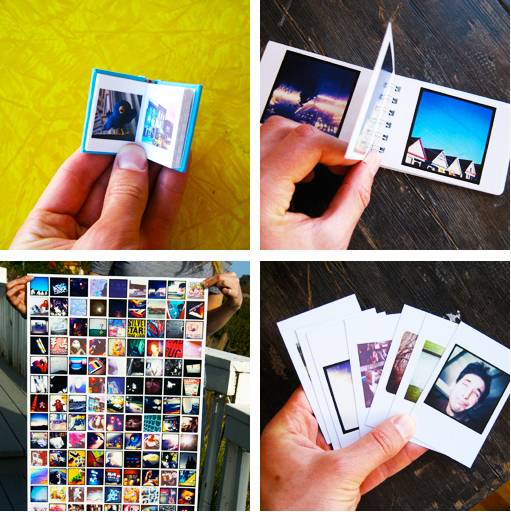 Just as I was trying to figure out the best (and easiest) way to get this project going I happened to come across Printstagr.am and soon fell in love with all of the sweet options they had available, just check out the Tiny book!